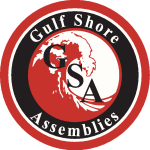 Since May, 2007 Gulf Shore Assemblies (GSA) has been serving the automotive industry with modular assembly manufacturing. GSA Lincoln is located at 249A Clover Rd., Lincoln, AL. GSA Talladega is located at 200 Homer Rd., Talladega, AL. 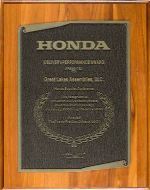 GSA is a joint venture between majority member MAI and Midwest Express, Inc., a Honda North America affiliate. GSA currently produces, tire and wheel assemblies, powertrain accessory modules, chassis components and engine components. MANUFACTURING STATS: Serving the Alabama Honda North America plant. VEHICLE STATS: Honda Odyssey, Honda Pilot, Honda Ridgeline, Acura MDX. MBE Certified – See certification here. MAI is proud of receiving the prestigious awards of Excellence in Quality and Delivery and some years achieving both. Out of 600+ suppliers fewer than 10% achieve this status, and even fewer achieve the dual award. Click the map for driving directions. To contact Gulf Shores Assemblies directly, call 205-355-8100.